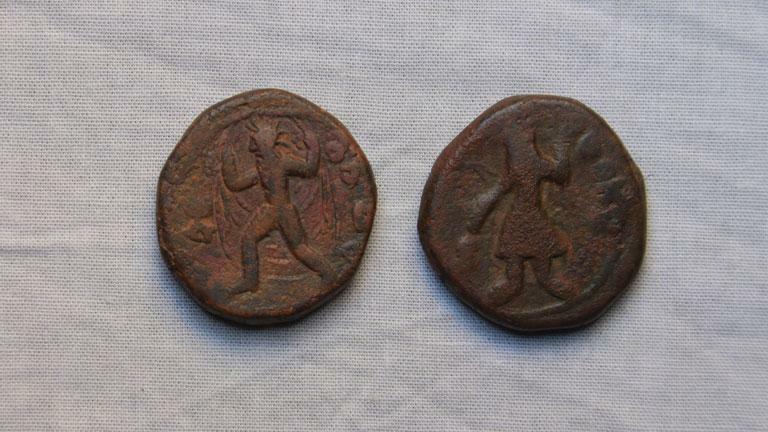 Kanishka, (78 CE - 98 CE) Obverse: King standing to the left and sacrificing in a small altar is visible. Sphere is visible in the left hand. Reverse: Wind God is visible.